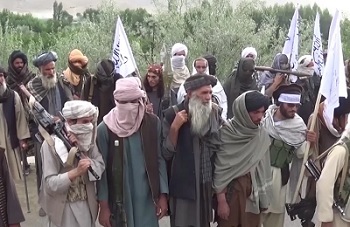 Ariana: A senior former member of the Taliban says the U.S. delegation and Taliban representatives are expected to discuss withdrawal of American troops from Afghanistan in their next meeting. Citing a Taliban official, Reuters also said that the talks took place with the approval of the leadership council. The two sides had discussed proposals to allow the Taliban free movement in two provinces where they would not be attacked, an idea that President Ashraf Ghani has already rejected. They also discussed Taliban participation in the Afghan government.” “The only demand they made was to allow their military bases in Afghanistan,” the Taliban official told Reuters. Click here to read more (external link).